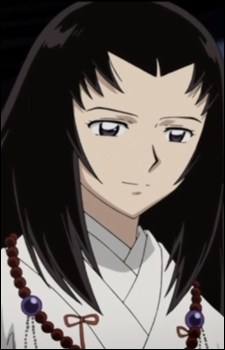 Hitomiko was a priestess that Naraku tried to kill in her childhood, but due to her strong spiritual powers he failed. It was said that her spiritual powers could be compared to Kikyou's powers. Eventually, many years later Hitomiko is finally killed by Naraku. He ressurrects her in order to use her to destroy Kagome, controlling her mind and body, but most of the times due to her strong powers Hitomiko resists and tries to spare and help Kagome.